The main time has gone into preparations for winter, that is, fattening oneself. The young must find a free territory for themselves. From October the adults are again in pairs and winter together in established areas. The inner fur or undercoat of the winter coat gets its winter thickness in November and the all-eaters have stuffed themselves quite comically fat. 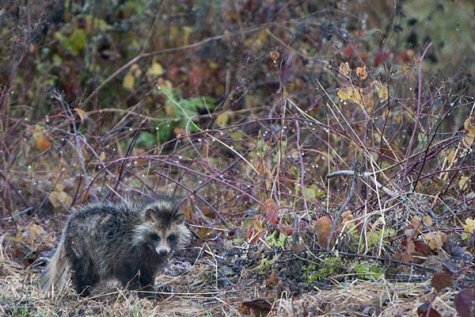 When the cold arrives raccoon dogs settle down to winter sleep, when the weather is warmer again they trudge around a bit.